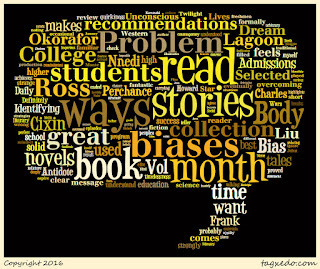 March proved to be another slow month of reading and I'm guessing it's something I have to get used to while being in the program--there will be no more months where I read some 40 books or so. 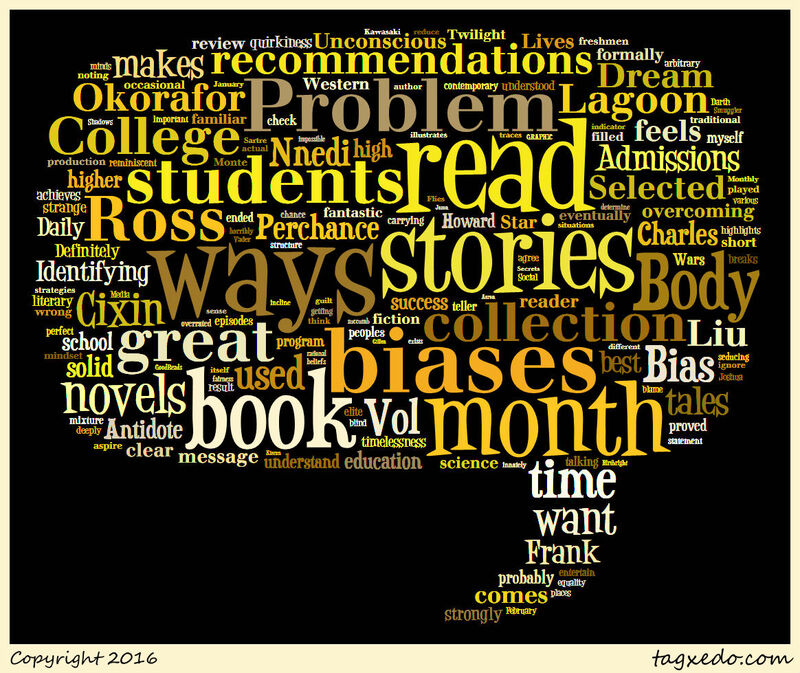 But it was an enjoyable month of reading and I found some great things to read/listen to this month. I won't formally review them but I found myself listening to two great non-Western science-fiction novels that I strongly recommend for sci-fi peoples: Lagoon by Nnedi Okorafor & The Three-Body Problem (The Three-Body Problem, #1) by Cixin Liu. Definitely check them out! But there are a few other books I want to spend more time talking about today! Beaumont is a fantastic teller of tales and many may already be familiar with him. A good chunk of his short stories eventually ended up as episodes on The Twilight Zone. This collection is filled with a great mixture of stories, many of which invoke the strange and quirkiness of the show. It's a well-chosen collection with something for everyone and many stories carrying a level of timelessness that makes them perfect. His focus is to entertain, not to be literary, yet an occasional tale achieves both. In many ways, this collection feels reminiscent of a contemporary of his, Richard Matheson. If you want a solid anthology to provoke your imagination, you can't go wrong with this one. Also, if you have the chance, opt for the audiobook; it's a rock-solid production. The most important statement I can say about this book is that every student should read this book in their freshmen or sophomore year of high school--yes, high school. Bruni's exploration into 3-Card Monte structure that is higher education when it comes to seducing students should be understood by all students as it has many long-term implications for them. Throughout the book, Bruni systematically breaks down the traditional mindset to aspire to elite colleges, noting how success in getting into them and success as a result of attending them is drastically overrated and over-played. He highlights a range of approaches and strategies that students should use to determine what form of higher education is best for them. I feel like this is a book I need to read at least once a year because as much as I agree, understand, and deeply appreciate its message, I also know it's horribly easy to ignore. The message is that we--all of us--you, me, the author, and everyone--are innately biased in ways that are not clear to us. Unfortunately, many of these biases are arbitrary and many of them may incline us to think and act in ways that are against our actual beliefs. Ross traces the many different ways in which we are blind to our biases and the various ways we succumb to our biases. He also illustrates ways of overcoming some of our biases some of the time but makes clear it's probably impossible (and probably for the best) to overcome all of our biases all of the time. Rather, the goal is to reduce it in places and situations where it undermines our sense of fairness and equality. Ross comes from this with a nonjudgmental tone and works hard to help the reader understand that the bias itself is not an indicator of guilt or blame, but rather something that exists beyond our rational minds. What about you reader? What book recommendations do you have for me?